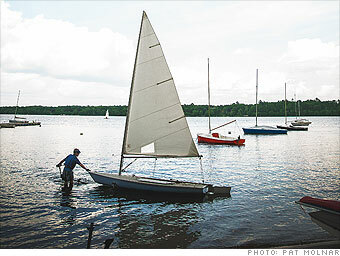 CNN Money placed three towns in Massachusetts on their "Best Places to Live - America's best small towns" list this month. According to CNN Money they ranked 50 towns that are "not only thriving economically, they've also got all you could want in a place to raise a family: plenty of green space, good schools, and a strong sense of community". In previous years other Massachusetts communities like Newton, Milton, Brookline, and others have been ranked as "Best Places to Live" when CNN Money looked at America's best small cities. View the CNNMoney article online here. At Dwell360 we continue to see the towns we service to be well ranked nationally. Again reaffirming that Massachusetts is one of the top places to live in America. Dwell360 is a residential real estate firm based in Newton and Boston Massachusetts. Dwell360 services the cities and suburbs of metro Boston. We are focused on our customers and our experience in the residential real estate market is extensive. Search for homes in Massachusetts and then give us a call.